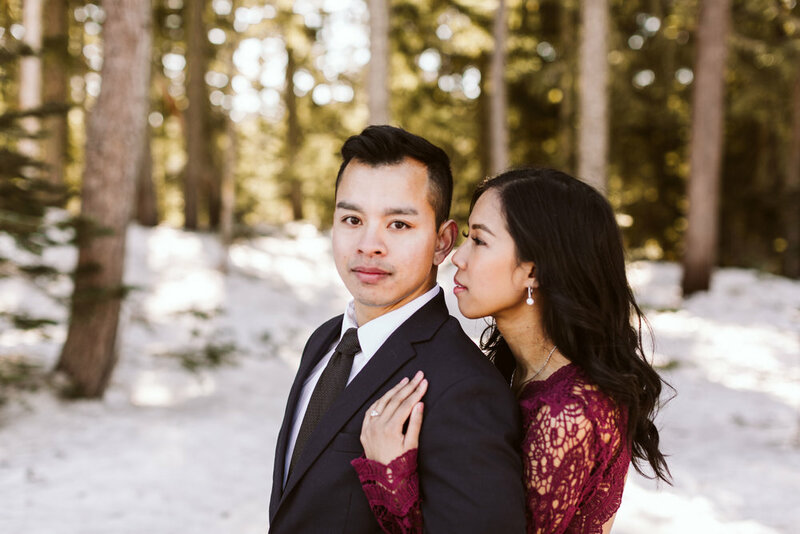 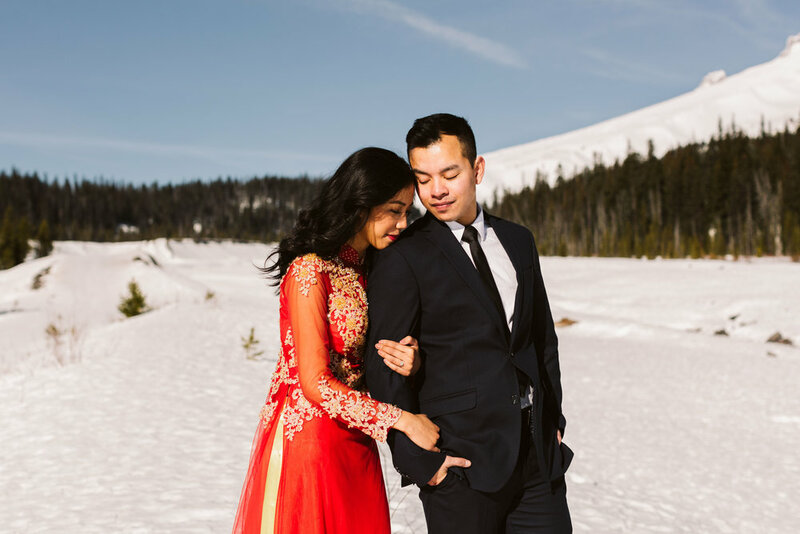 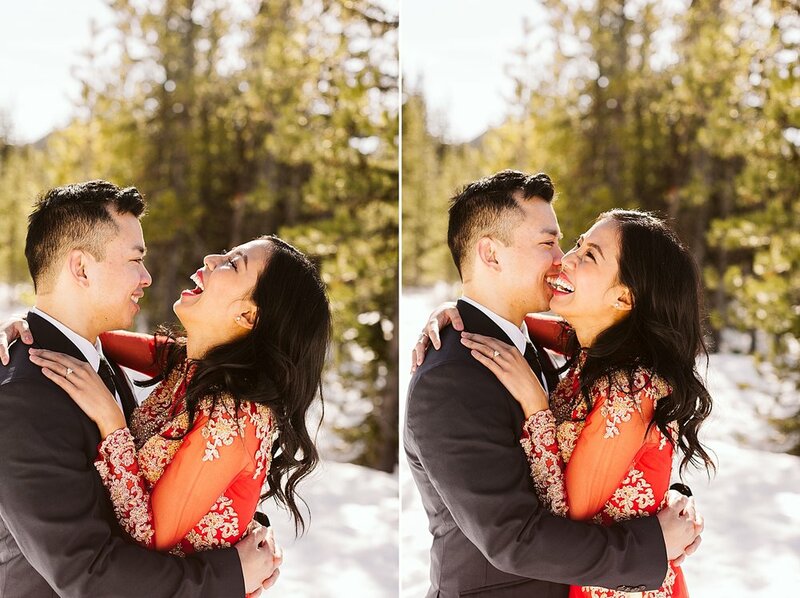 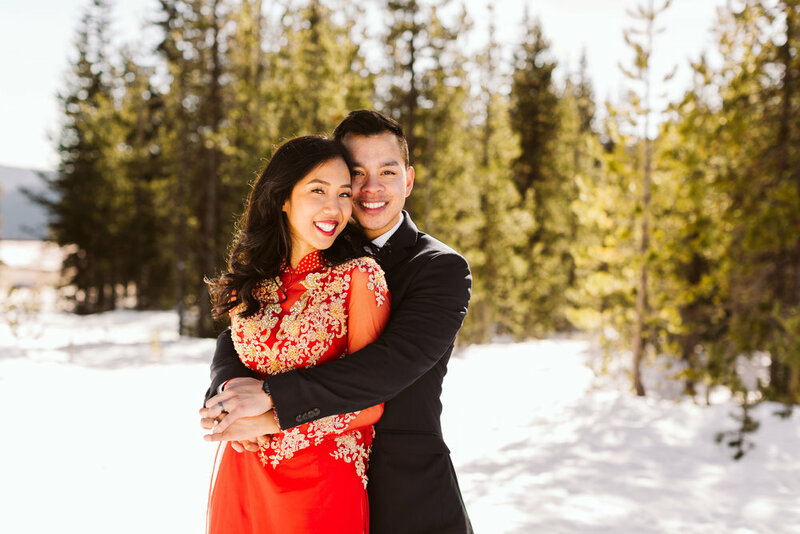 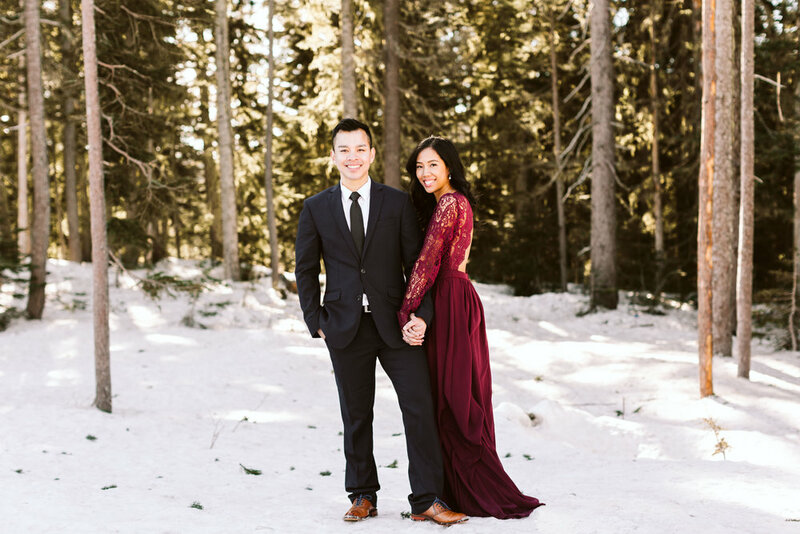 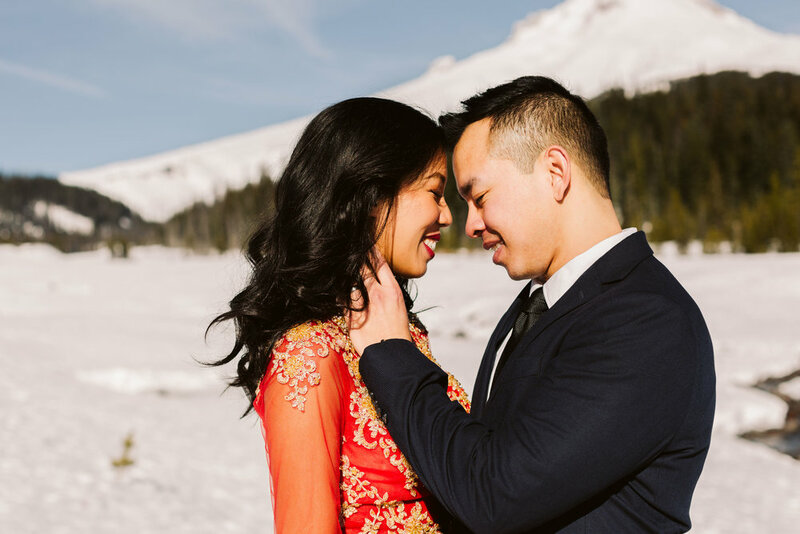 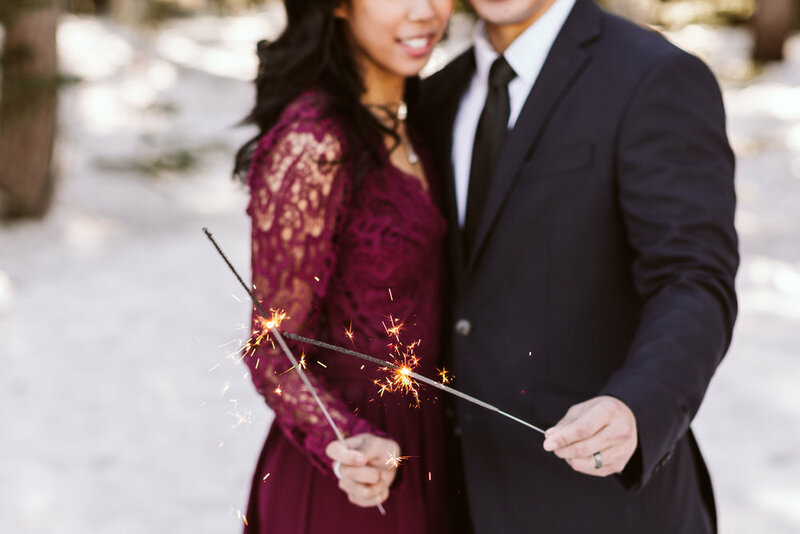 Khoa and Stephany are engaged and I can NOT wait for them to get married this June! 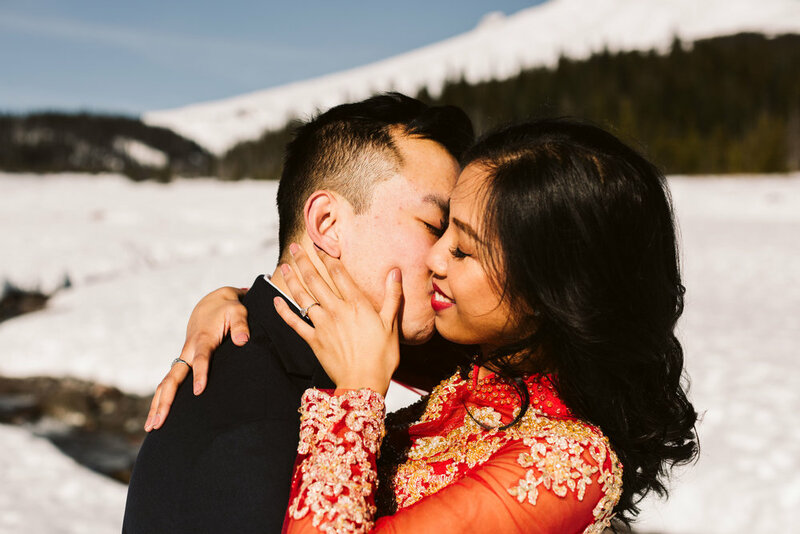 My husband and I made the 3-hour trip down to Mt. 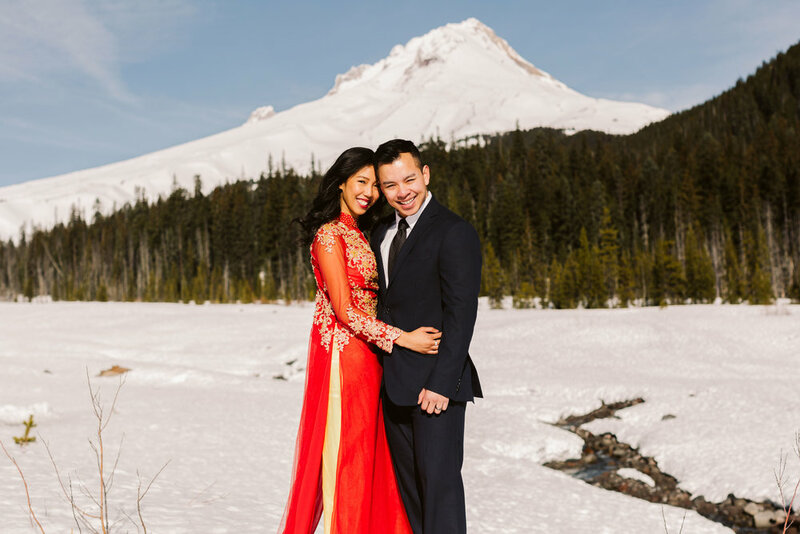 Hood, Oregon for this gorgeous couples session and it was SO worth it! 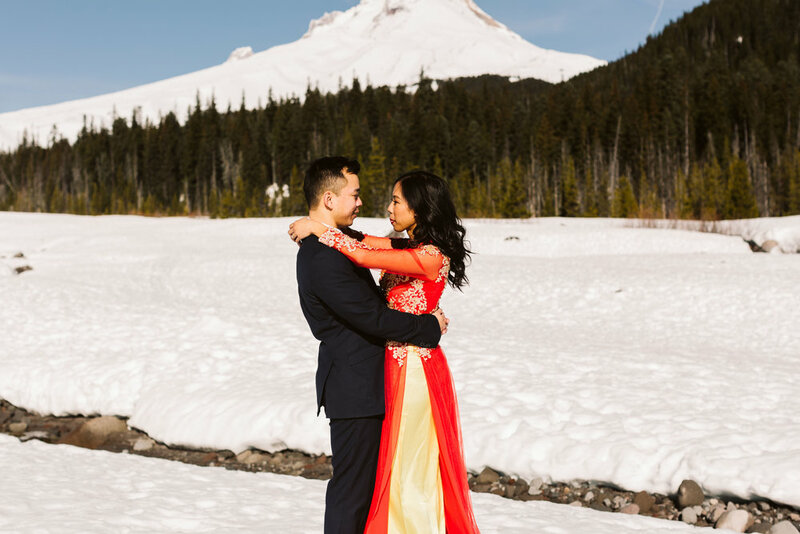 We hiked around the White River Eno-Park for a couple hours on one of the clearest days in Oregon. 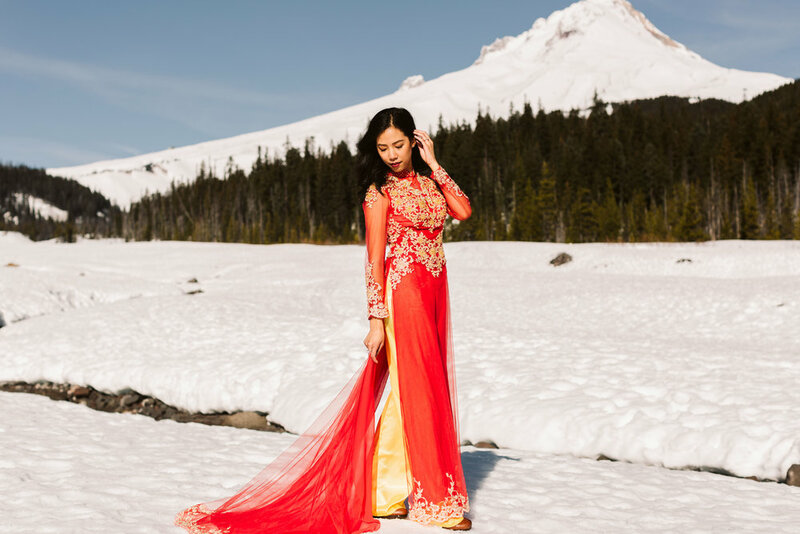 It was super foggy and depressing from Yakima up until about 10 minutes till we got high up Mt. 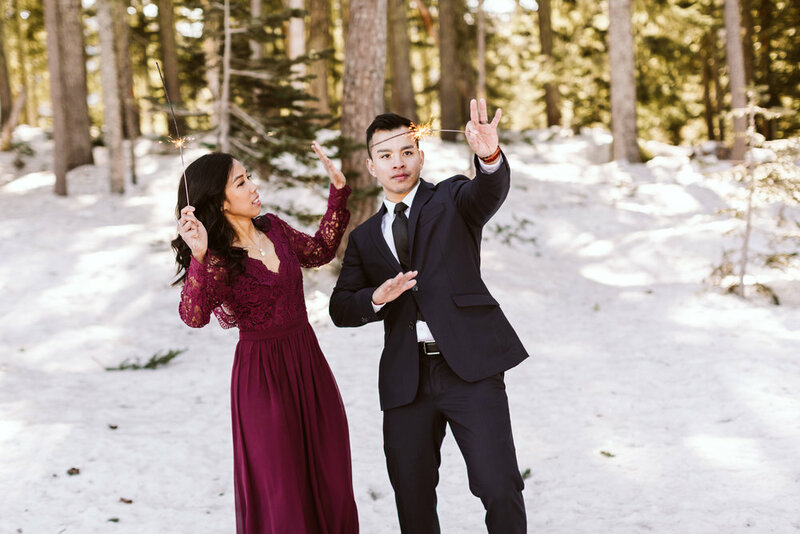 Hood to the snow-park. 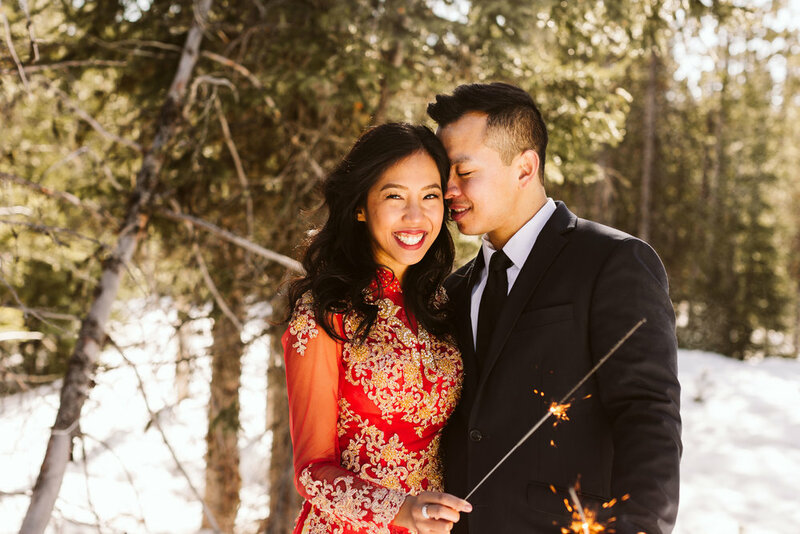 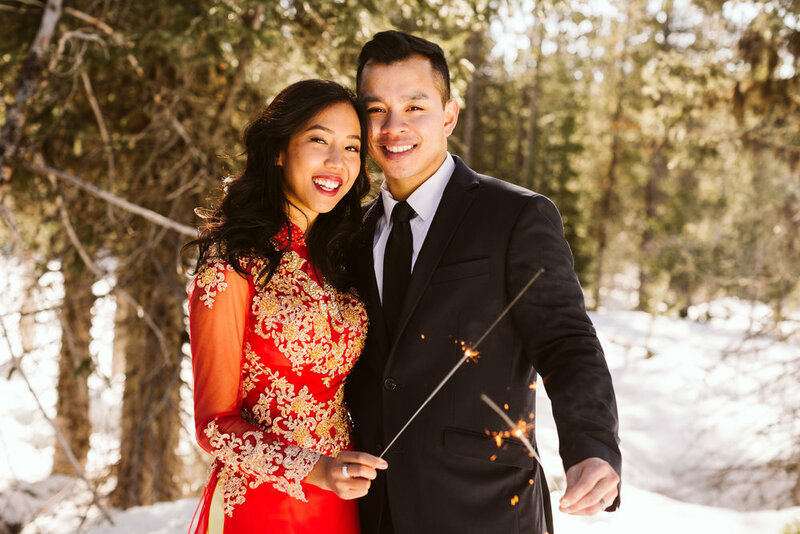 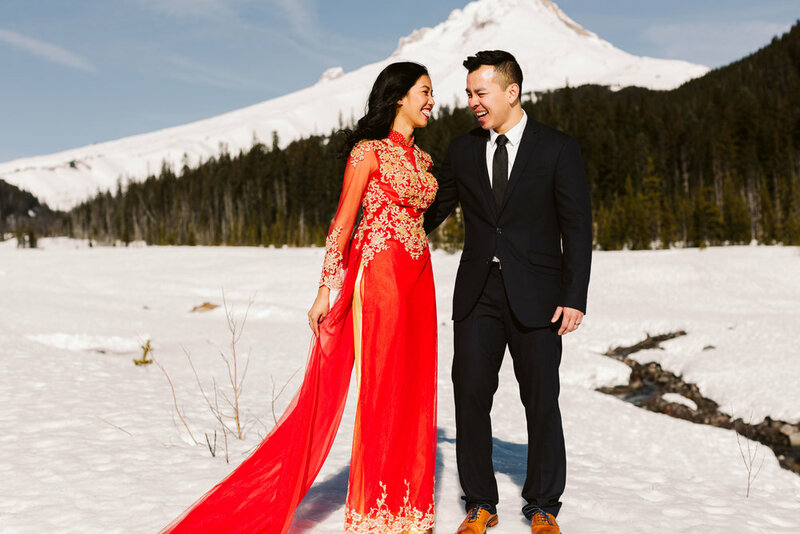 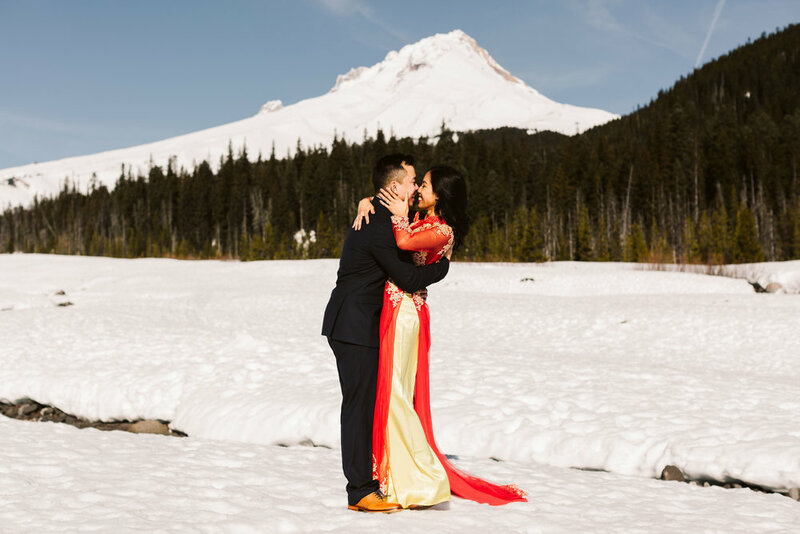 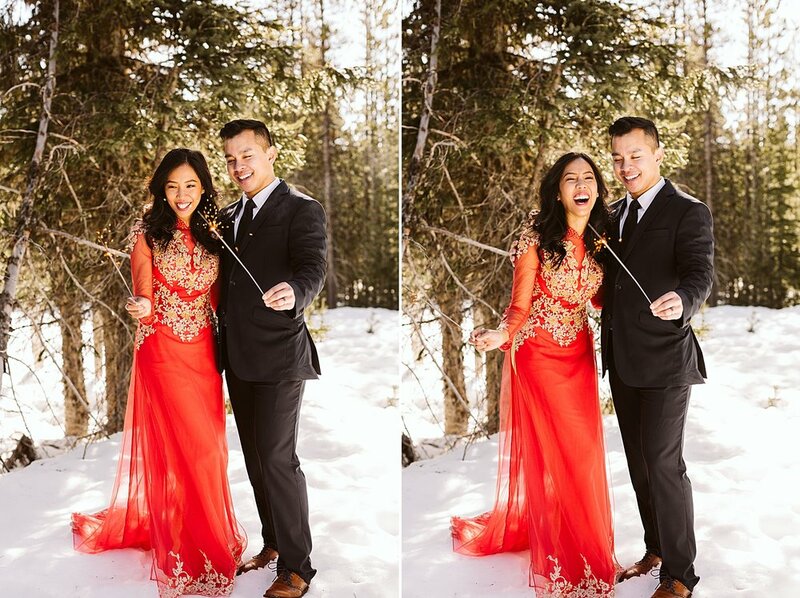 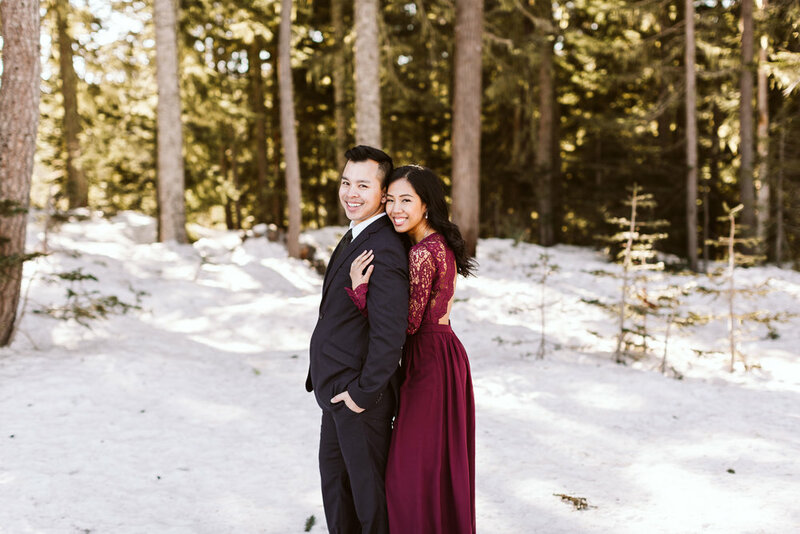 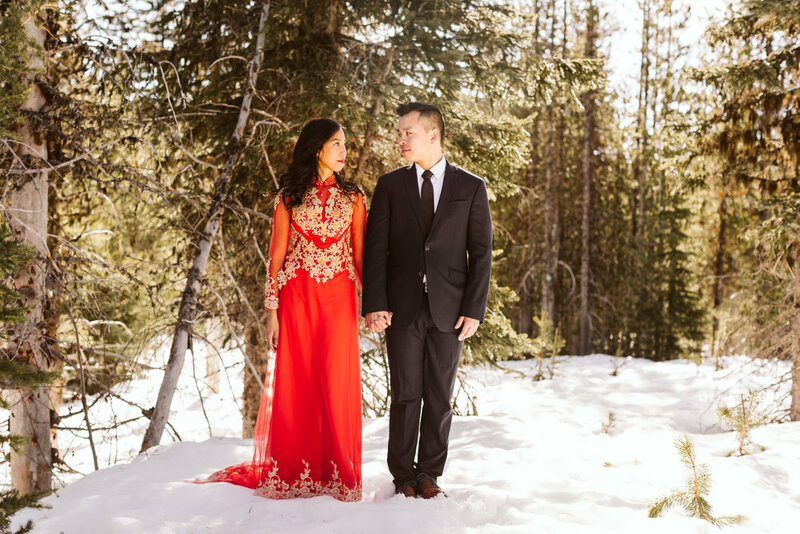 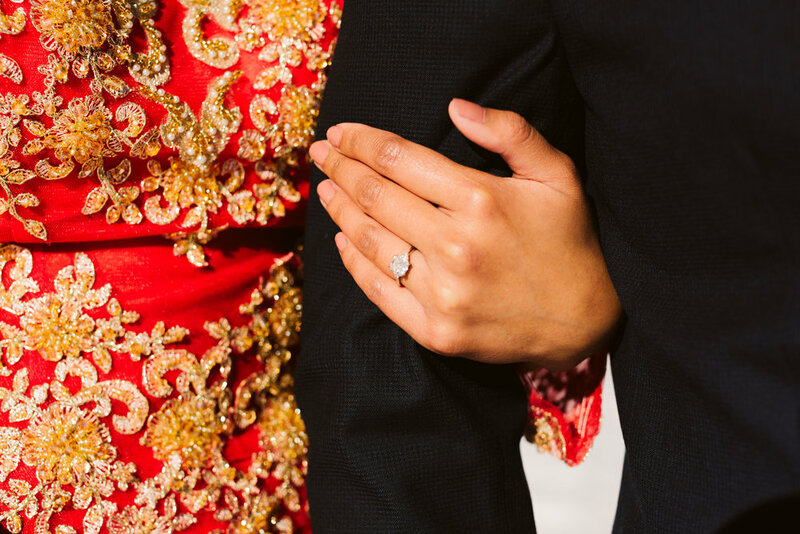 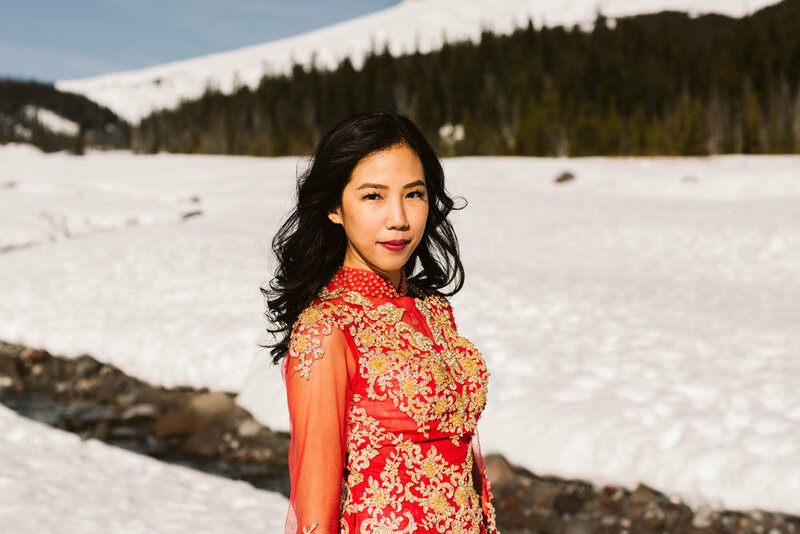 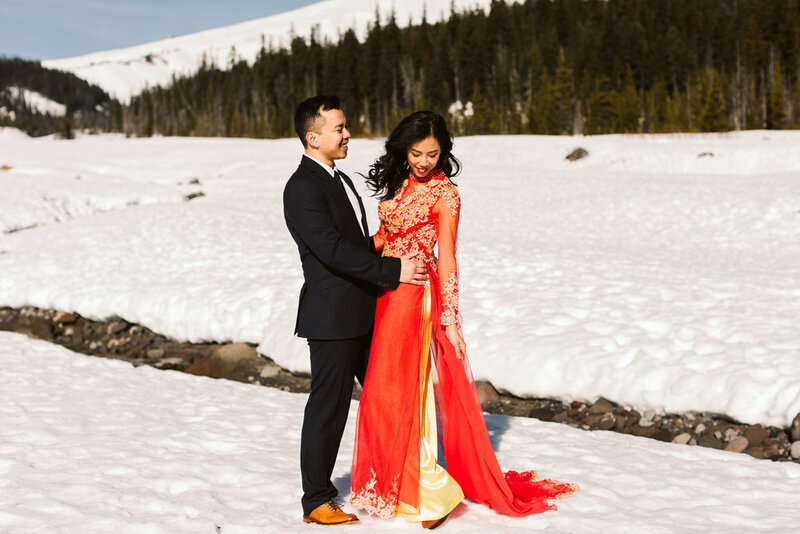 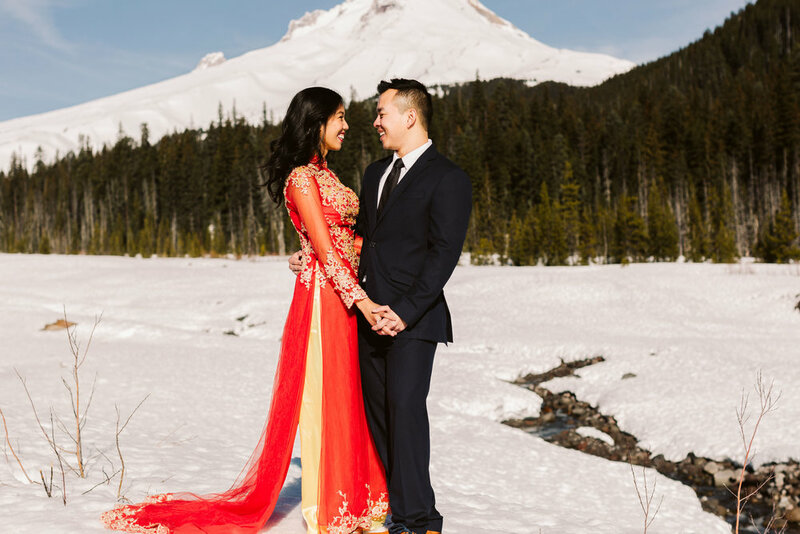 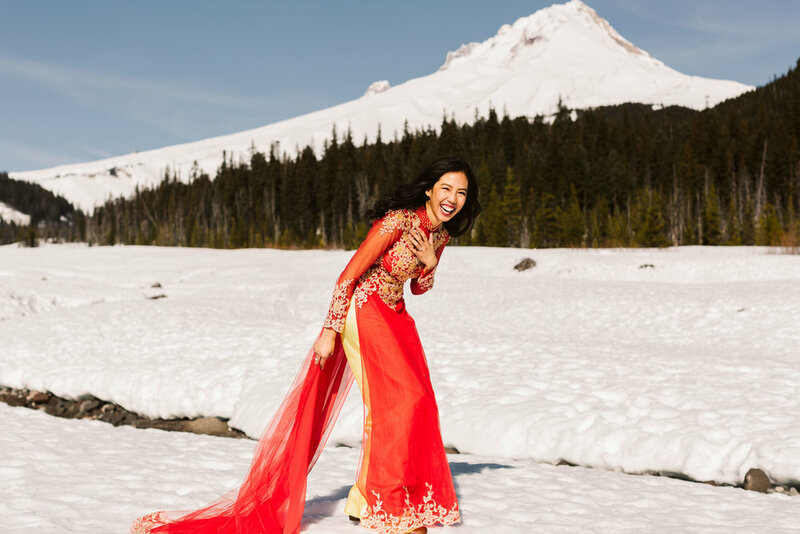 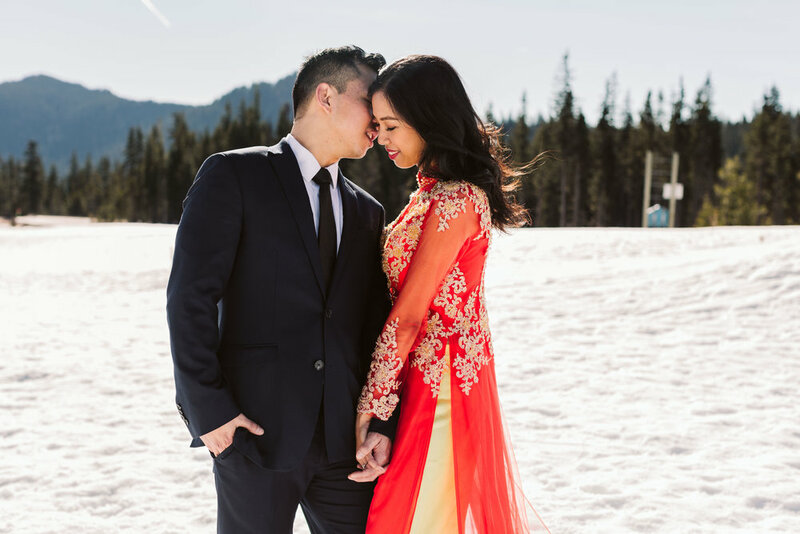 It was absolutely incredible and just seeing Stephany in her red custom-made Vietnamese traditional wedding dress blew me away! 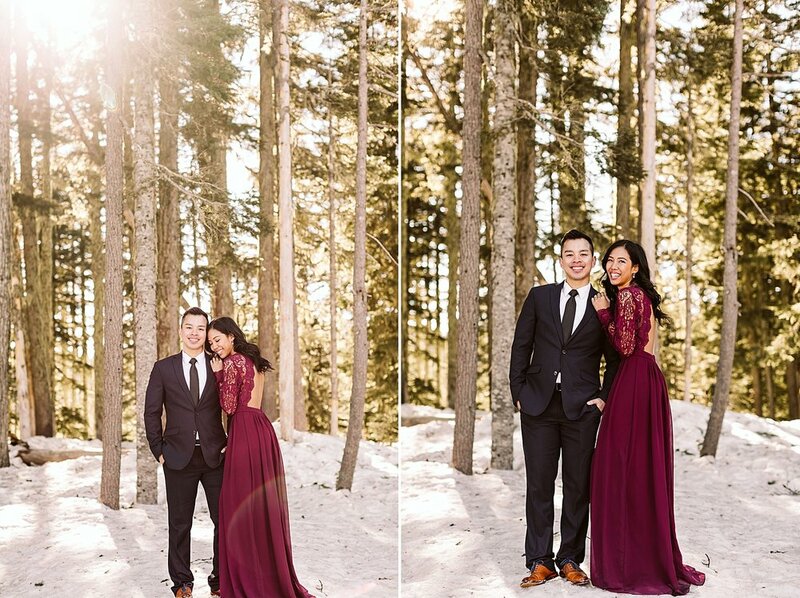 These two are so amazingly gorgeous and their wedding day will be the same!